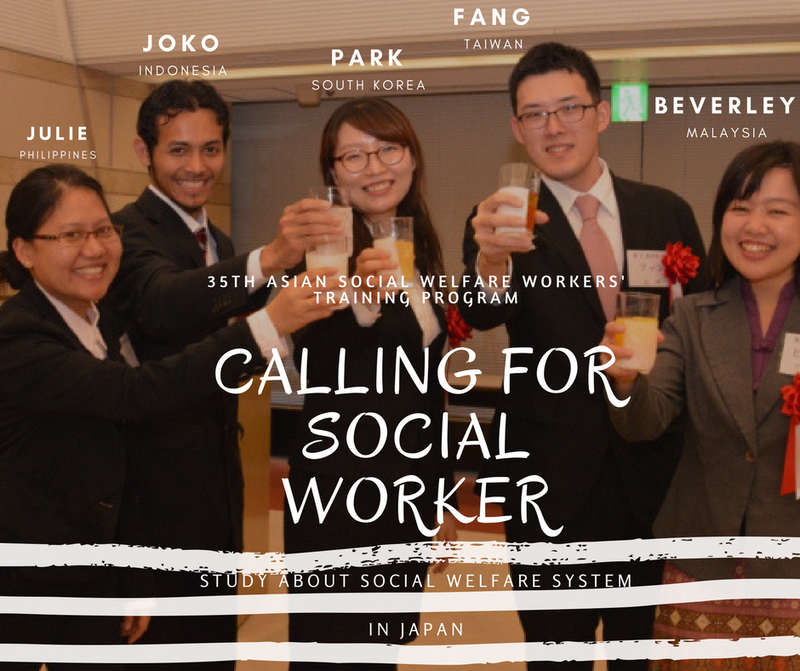 Japan National Council of Social Welfare (JNCSW) every year invites social welfare workers working in the Non-Governmental Organization Communities (NGOs / NGOs) in the field of social welfare services in Asian countries, to provide practical opportunities in some service agencies social welfare in Japan. This program has been started since from 1984 to the present. WHY THIS PROGRAM IS IMPORTANT? and OJT at social service institutions/facilities. through promoting mutual understanding and interpersonal exchanges as well as to contribute to the development of social welfare in Asia. WHO HAS ELIGIBILITY TO REGISTER? At the age of no later than 30 years old per October 2017. Minimum 3 years of working experiences in the field of Social Welfare Services. Have a background in Social Work/ Social Welfare / related Major which connect to their current working activities. Very interested in Social Welfare Services in Japan and willing to learn Japanese language intensively when arrived in Japan. It’s prefer that the candidate not a professional in Japanese language (will study together in Japan). WHEN THIS PROGRAM WILL BE CONDUCTED? WHERE IS THE PROGRAM WILL BE CONDUCTED? The Japanese language study and cultural understanding mostly will be conducted in Kasumigaseki, the Center of Tokyo City (very near to the Parliament and President Office). And the On the Job Training (OJT) Program will be conducted in the various Perfectures in Japan (Kanagawa, Osaka, Kyoto, Shizuoka, etc). HOW TO BE THE ONLY ONE CANDIDATE TO GO TO JAPAN? Deadline for Register this Program is on Tuesday, October 10th, 2017 at 23.59 WIB. Ada penyeleksian setiap tahun, insya Allah..
wah keren, berada di mana sekarang masbro?